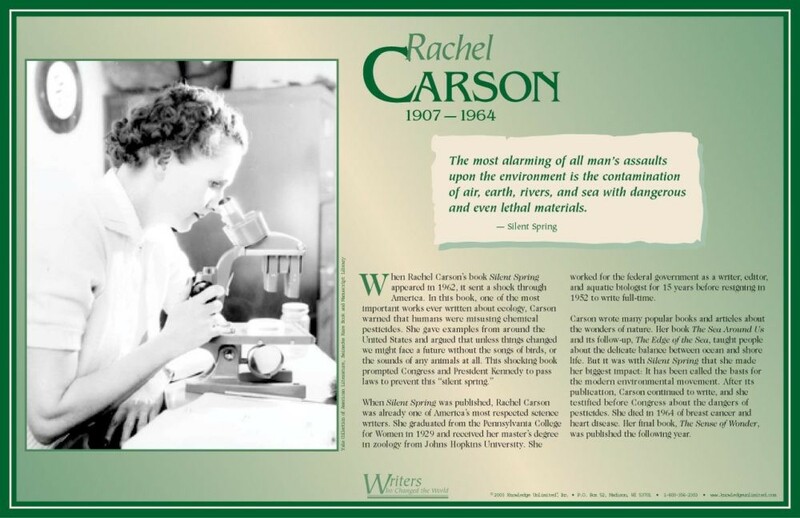 Rachel Carson's book "Silent Spring," was one of the most important books ever written about the environment. Published in 1962 it sent shock waves across America. 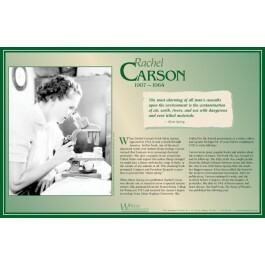 This educational poster of Rachel Carson features a photo of her at work, biographical text of her life and the importance of her work, and a quote from "Silent Spring." Carson's book warned that humans were misusing chemical pesticides and argued that unless things changed we might face a future without the songs of birds or sounds of other animals. Her book has been called the basis for the modern environmental movement.